India’s tour to Australia will define the next two years in Indian cricket. The tour might throw up a few youngsters for the future or could see curtains over the career of few veterans of the game. It will be a testing couple of months ahead for the Indian team at the same time they will be in with a chance to force themselves into history books for something which has never happened before in Indian cricket. Virat Kohli, the Indian skipper would sense an opportunity to script history by claiming series wins in all the three formats against Australia in their own den. While many feel Indian begin white ball cricket as favourites, questions ponder over the team’s mettle to get past Australia’s fortress in Test cricket at home. The visitors would rely heavily upon Virat Kohli in the longest format while they boast of a balanced side in the limited overs cricket. There’s no doubt that Kohli will have to lead the team both with his bat and his on-field tactics as a skipper. Even Virat would be eager to repeat his heroics from his last tour down under with the only advancement of taking his side over the crossing line. India will begin the tour with a three-match T20I series against Australia beginning November 21. The team would love to replicate the results from their previous T20I assignment on their tour down under when they clean swept hosts for a 3-0 series win. It will do the world of good to their confidence ahead of a competitive Test series. The icing on the cake will be the contribution from the bat of Virat Kohli. Kohli who has 423 runs in 11 games against the Aussies, would be raring to go and claim the 500-run mark in T20Is. In doing so, he will become the first batsman to muster that many runs against Australia in the T20 format of the game. With the kind of form he currently fancies, it won’t be a surprise if he gets to the landmark in the first encounter itself. Playing against Australia has always got the best out of the Indian skipper. The kind of aggressive approach that the Aussies sport, always motivates Kohli to be even more relentless and not let it throw away while batting. Now when he dons the Indian jersey against Australia, he might just want to continue his rich vein of form and stack up runs for his side. 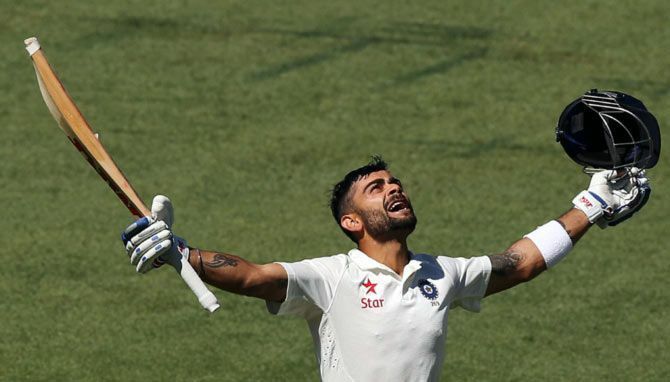 Kohli who has been deadly successful against the Aussies will have another personal milestone in sight. He is just 2 centuries short to register second most centuries against Australia. He has 11 100s to his name and requires only two to sit comfortably behind Sachin Tendulkar’s tally of 20 centuries against the mighty Australians. It will add another feather to his cap given he has taken merely 54 games to claim those centuries and might be in with a chance to topple Tendulkar for most 100s in future. Virat Kohli has been in some form, especially ever since he was handed India’s captaincy in early 2017. His stature has grown by leaps and bounds and that confidence of batting even reflects in his on-field decisions as a skipper. 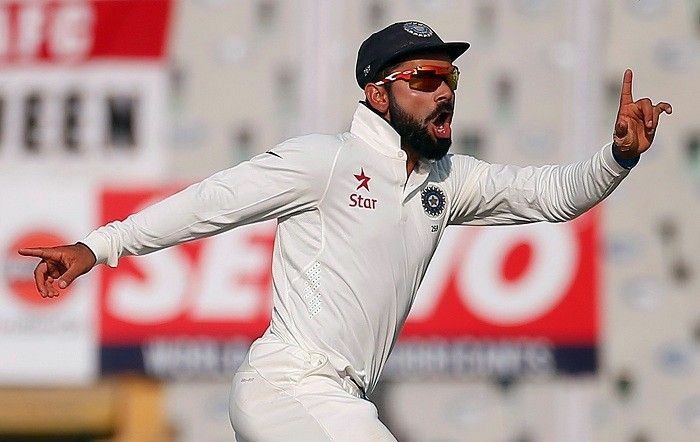 His ability to get better of his instincts and perform to the best interests of the team is in itself a commendable job which Kohli continues to do regularly for India. He would once again be leading his side in Australia, the same place where he first captained the Test side in 2014. Now when he would take the field against the Aussies, another record would be in sight as International skipper. He is just one short of registering second most centuries as a skipper in International cricket. At the moment, he sits comfortably at the second position along with Graeme Smith with 33 centuries as captain of the team. He needs another century to go past the former South African to be just behind Australia’s Ricky Ponting with 40 International centuries to his name. Indian skipper in one of the most consistent batsmen across all formats. The confidence that he holds towards his game and the ability to conquer every physical condition, sees him as one of the greatest batsmen of this generation. It is his sheer brilliance to face every challenge head-on and emerge victorious on most occasions. With evolved maturity and a better understanding of the game, Kohli has made a fun of numbers given the form that he has displayed in past couple of years in every format. It was recently against West Indies that he became the fastest to score 10k runs in ODI cricket, going past Tendulkar’s elusive feat. 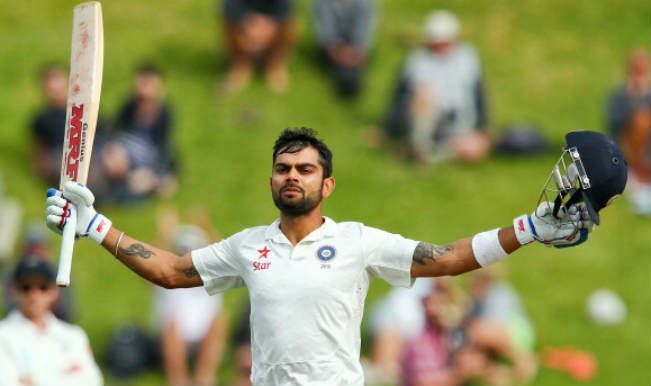 In the series against Australia, Kohli will be eyeing another record for himself. He will be nearing upon a feat of registering the fastest 19k runs in International cricket. Kohli already boasts of being the fastest to reach 15k, 16k, 17k, and 18k international runs.